Salt Lake County Mayor Ben McAdams presented his 2019 budget plan to the County Council on Tuesday, which he said places public safety as a “top priority” while maintaining fiscal responsibility. The $1.5 billion spending plan includes $3.4 million to attract, hire and retain law enforcement officers and staff, with a 2.75 percent pay increase for officers in an effort to stave off the high number leaving the profession. He also wants $1.3 million to go toward fully funding the opening of two additional pods at Oxbow jail to address the state’s ongoing jail bed crisis. His proposal is subject to approval by the County Council. Chairwoman Aimee Winder Newton said she expects there will be cuts and may be additional funding priorities added before a final budget is approved in December. “Obviously, as a council, we are very much supportive of opening Oxbow and getting more jail beds, and public safety has always been our No. 1 priority, so I think we’re well-aligned with that,” she said of the proposed plan, but noted the council still has to look at the “nitty-gritty” details. McAdams said the county will have to trim other areas to accomplish his goals without raising taxes. He proposed, for example, cutting hours from the County Government Center’s security operations, which currently has a 24/7 security desk, which he said could save $200,000. The county will face other challenges as it works to approve a budget, McAdams said, including a tax rate that has declined for five years in a row and inflation increases to expenses like health care and wages that outpace new revenue, which is projected to increase slightly in 2019. McAdams is running for Utah’s 4th Congressional District in a tight race against Rep. Mia Love, and he sounded often like a candidate during his presentation. His speech looked not only to the future but also to the past, touting the county’s accomplishments under his leadership. He lauded the “tremendous gains in criminal justice reform” in 2018, including Operation Rio Grande — an all-out attack on homelessness, open drug use and crime downtown. Those efforts have put criminals behind bars, he said, as well as offered expanded treatment programs to help people move past convictions and start new lives. Those programs “help stop the expensive cycle of revolving in and out of jail,” he said, and save taxpayers money. A recent analysis by the American Civil Liberties Union of Utah, however, criticized Operation Rio Grande for being heavy-handed in law enforcement and light on treatment solutions, noting that the effort had resulted in some 5,000 arrests, many for misdemeanors or warrants. That’s technically true, but tax hikes as defined by state law occurred some years he was mayor — including when he declined to lower taxes after some bonds were retired. But taxes did not increase every year, as Love charged. McAdams reiterated Tuesday that this proposal would not raise taxes. 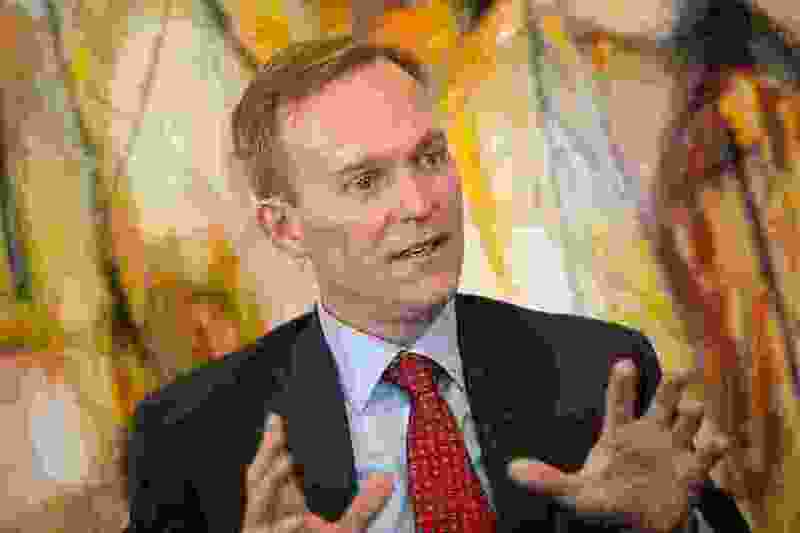 And while he acknowledged that the overall budget total of $1.5 billion is higher than the $1.3 billion budget the council approved last year, McAdams said that increase reflects funds for capital projects and a $32 million bond plus library budgeting that the council adjusted for earlier this year, rather than an actual surge in spending.